Queen of All Media Kris Aquino might be one of the most impersonated personalities in the industry because of hr distinct gestures and way of speaking, including her catchphrases which definitely leave a mark to her fans and followers. One of her most imitated catchphrases is her way of saying “Darla” which refers to the former head writer of her defunct television show “Kris TV”, Darla Sauler. 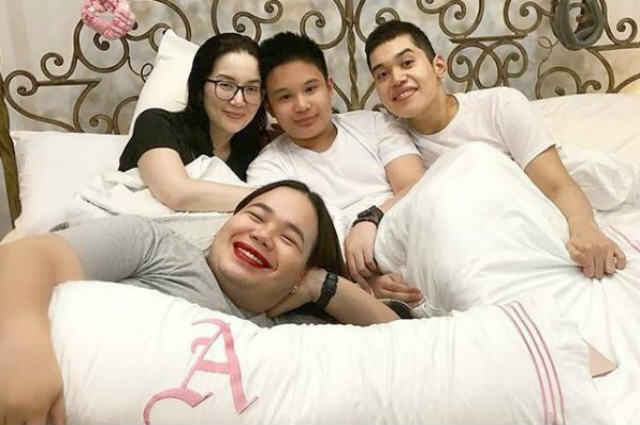 In Kris’ recent Instagram post, she shared photos of her with her sons Kuya Joshua and Bimby as they reunited with Darla who visited them at home.